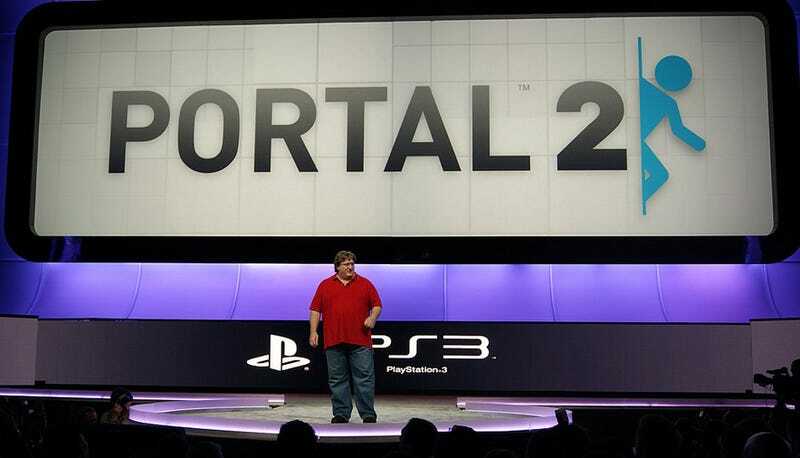 Valve's Gabe Newell appeared at Sony's E3 press conference to say Steam is coming to the PlayStation Network, and Portal 2 will be available for the PS3 on the same day it releases for Xbox 360 and PC. CORRECTION: Portal 2 will be "Steamworks enabled," which includes community support features, such as chat. It will not accommodate cross-platform play. Newell said the new features will make Portal 2 "the best version on any console." Launch and release dates were not announced; Portal 2 will release sometime in 2011. Newell made the announcement at Sony's E3 news conference just moments ago.